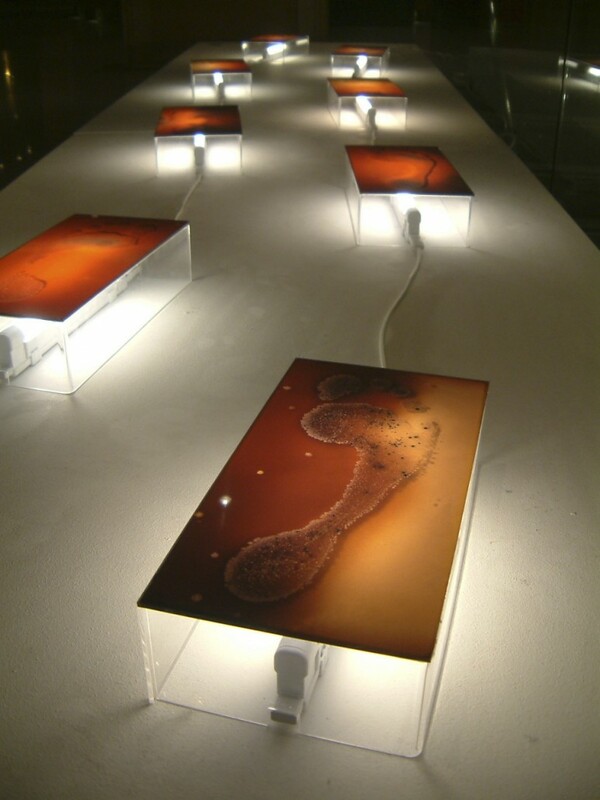 The photographic installation Cultured Colonies is made up of 9 glowing footprints, the images created by placing uncontaminated feet in microbiology agar and culturing them for a period of 48 hours. 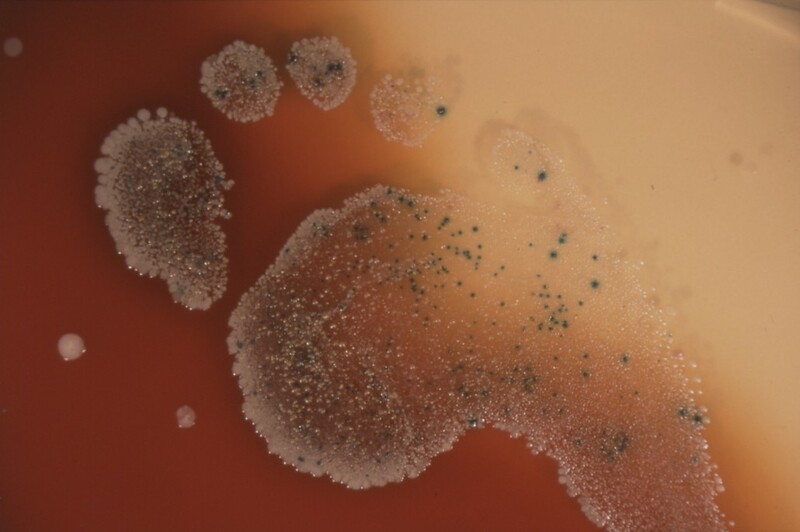 After this time the normally innocuous organisms that live on the skin have grown and reproduced in an exaggerated form and are potentially dangerous to their host, they will continue to grow if not stopped. The work explores biomedical representation and the identity of the individual within the medical institution, and pushes the boundaries of what we consider to be a self-portrait. 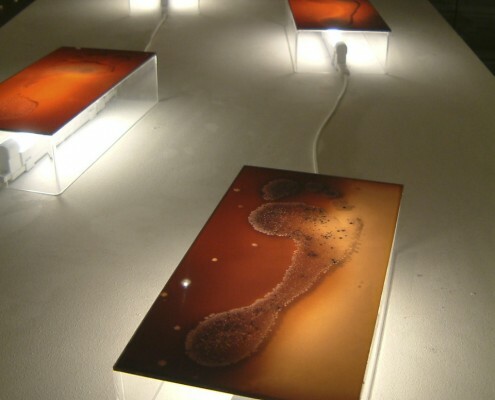 Cultured Colonies was made in collaboration with microbiologist George Hounsome at The Whittington Hospital, North London, supported by a City of Westminster Arts Council Bursary 2000. 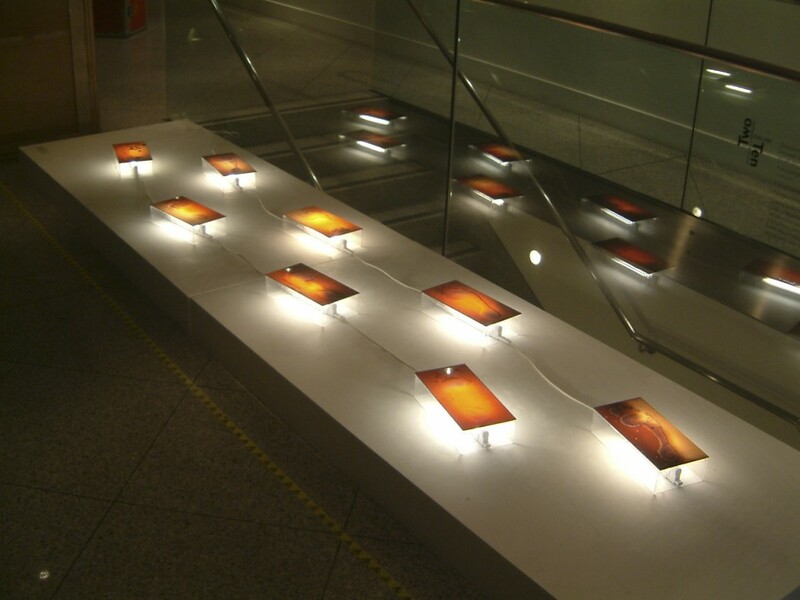 Click above to view an animated gif of all footprints in the sequence.